Now you can test your games on real hardware without dealing with soldering, rom chips, or worrying about using the right donor board. Requires CopyNES with the EXP0 programming wire mod. 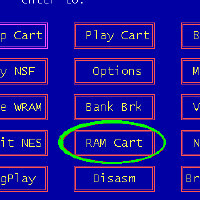 Just plug the PowerPak Lite into your CopyNES system, then choose the RAM Cart option. All the mapper, mirroring, and data size info is automatically configured from your .nes file. 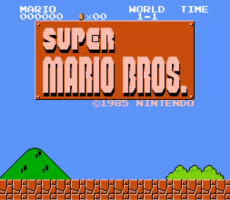 In just a few seconds your game is loaded onto the cart and is ready to play. 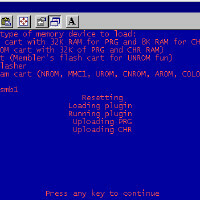 WRAM can be loaded and saved back to your computer. Choose game in CopyNES Upload to PowerPak Lite Play! Only works on the CopyNES system. Inside the PowerPak Lite is a Xilinx CPLD, 512KB prg/wram space, 128KB chr space. All memory is RAM so it writes fastest and has no write limit. 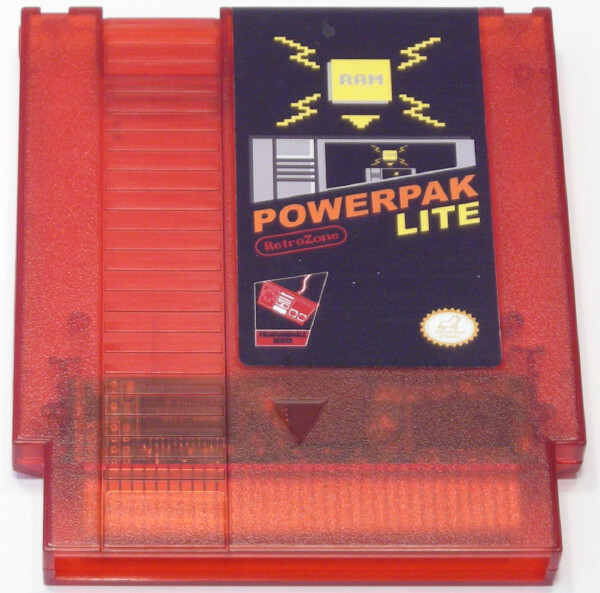 This also means the PowerPak Lite cannot be used outside the CopyNES system. The CPLD power must be kept on after programming so battery backup is not feasable. The JTAG port on the CPLD is brought out to the board if you want to reprogram it for your own uses. 8KB WRAM is always enabled so even mappers like NROM can use it.